I was drawn to Miss Peregrine’s Home for Peculiar Children because of it’s intriguing cover art, and the fact that it contains dozens of similar pictures throughout the story. It’s a very beautiful book, and I was curious to see how the story itself compared. It starts off very mysterious; rich kid Jacob’s grandpa, a WW2 veteran, gets killed by savage beasts. Grandpa Portman has always told fantastical stories about a children’s home off the coast of Wales, where kids lived that could levitate, were invisible, and had other unnatural skills. When Jacob finds a letter from Miss Peregrine, the headmistress, he goes to Wales to find out the truth of his grandpa’s life. The first half of Miss Peregrine’s is very atmospheric. It has this dark mood, with the pictures enhancing the weirdness of the book. Who are these children? Did they ever exist? Is Jacob slowly turning insane? I loved this part of the book. The slight hint of mental illness, the creepy pictures… It all was very disturbing, and very awesome. But once Jacob actually gets on the island, the entire tone of the story changes. It goes from dark and creepy to kind of idyllic bitter-sweet. I will try to keep from spoiling the story to you, but I will say this: it turns into some weird Harry Potter-esque story. And I didn’t see that one coming AT ALL. And to be honest I didn’t think it fit that well. The second half of the book didn’t make that much sense with most of the pictures. 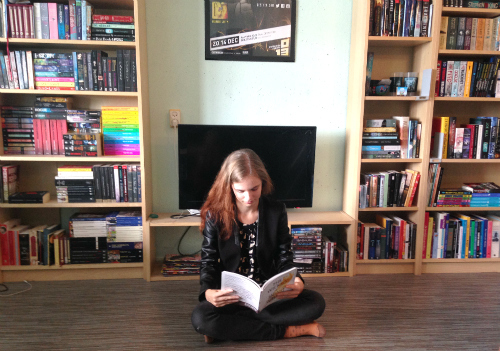 It was a completely different atmosphere, that almost felt like it belonged to some other book. I had quite a few issues with the part that followed, one of which the ease of which the main character thinks of abandoning his parents to do his own thing. This is a fifteen year old. Yet he thinks nothing of leaving his home for an indefinite time. He mentions that he’ll probably miss them, but that’s it. No regret, no nothing. And the worst thing for me is that the writer tries to justify Jacob’s feelings by making his parents not-so-great parents. His mom is very concerned with outward appearances and very much enjoys being rich, and his dad can’t finish a project and is kind of like a grown-up teenager. To be honest, if that’s the only thing that’s wrong with your parents, you should consider yourself lucky. They genuinely love him. They want what’s best for him. They didn’t neglect him, beat him, abuse him, or were drunk all the time. Yet Jacob just shrugs, “Ungh, parents, whatever”, and that’s it. It bothers me because, what kind of example is this for teens growing up? That if you feel that your dad said something you didn’t quite agree with, you can just walk away? That it’s okay to abandon everything when you’re just fifteen? I might see too much into this, but it bothers me a lot. 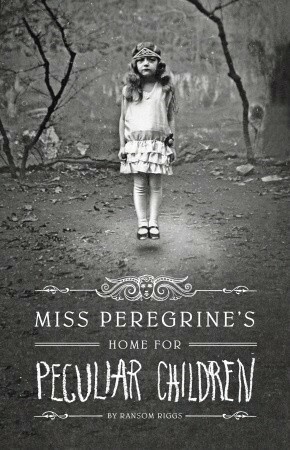 Overall, Miss Peregrine’s Home for Peculiar Children is a nice book. It’s unique, just the right amount of dark, and an adventure to read. It just happened to rub me the wrong way.